Hulon (Dr. Hulon Crayton) is a smooth jazz saxophonist hailing from Panama City, FL who made his started his jazz career as a member of noted jazz group the On Call Band®. Hulon released his debut release, First Impressions, via Premier Musique Group (owned by his son, Hulon E. Crayton II) in 2010. The album peaked at #25 on the Billboard Smooth Jazz Chart in April 2010. First Impressions was produced by noted smooth jazz artist Jeff Kashiwa and included eight original songs co-written by Kashiwa and Hulon, and also features a cover of the song "The Cisco Kid" by the band, War. 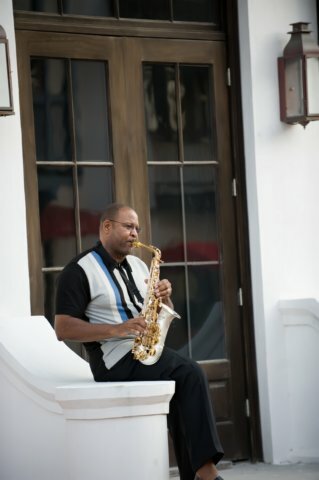 The song "Sax on the Beach," served as the album's first single and reached #16 on the SmoothJazz.com Top 50 Indie Chart and was featured on the noted jazz website AllAboutJazz.com, in addition to receiving national and international airplay at terrestrial and online radio. The song "Dr. Goodfoot" served as the album's second single. After the success of his debut album, Hulon returned with "After Hours." The 2012 album features Grammy Award winner Howard Hewett (of Shalamar), Gary Foote (of Blood, Sweat & Tears), Geoff McBride/Geoffrey McBride, and many other R&B notables. Already charting, Hulon's sophomore album is expected to gather as much, or more success than the previous release. In addition to his jazz career, Hulon is also a noted entrepreneur, medical doctor, philanthropist, husband, and father of three (currently enrolled in college). TO READ ABOUT THE ON CALL BAND®, CLICK HERE. Want More?How about some interesting, and fun facts? Gary Foote, bass player for Smokey Robinson and Blood, Sweat & Tears. To add, Gary was Hulon's next door neighbor during his childhood years. Hulon's college roommate, Dr. Trotter, persuaded him to try it out. Do you like this page? Please spread the news...click the button below. © 2012-2014 Premier Musique Group (Crayton Corp).